“I see this in the food industry. There’s quite a few organizations here locally that will sell using “Amish”. And what they’re trying to do is create the perception that it does come from Amish producers. When it doesn’t. They don’t explicitly say so, they just say “Amish Country this”, “Amish Country that,”…”Amish” is big, “Country” is small. So, the customer that buys this, his perception…is this comes from an Amish farm or an Amish producer. And it isn’t. The person who said this is a veteran Amish entrepreneur I interviewed for my Amish business book back in 2007. “Amish” can be a big selling point. On a product, it can mean things like “all-natural”, “traditional”, “integrity”, “high-quality”, “craftsmanship”, and so on. Pretty much all positives. 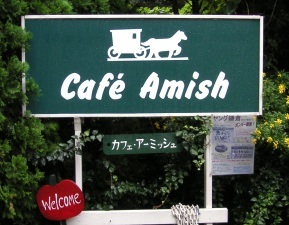 More than that though, “Amishness” is a unique quality inherent to the people themselves. Key to it is the idea of authenticity. People purchase Amish products to take away–to experience–a little piece of an admired culture. So if businesses are selling on the Amish name, but aren’t “Amish” in any legitimate sense (products, employees, ownership), aren’t consumers getting shortchanged? Or even…deceived? At the same time, I wonder if language makes a difference here. As my Amish interviewee notes above, these non-Amish sellers understand the impression they are trying to create. However, “Amish Country” identifies a geographical place. Even though something reads “Amish Country”, not everything with that label is “sanctified” by the Amish. And I’m not sure we should expect it to be. And should we fault those who live in “Amish Country” and make a living because of it? Certainly, they benefit from tourism–as do Amish. But non-Amish have to deal with negative side effects like traffic and tourist crowds too (not to mention manure and slow buggies on the roads). So–using “Amish Country” when you’re not really “Amish”–deceptive, fair game, or…something else? And…anyone come across “odd” examples of using the Amish name to sell a product? 38 responses to “Amish Country” on the label: Deception or fair game? Mona,,,, did you ever get to see the other post? I can’t remember which entry it was under, LOL. As far as I know those things do work, but like I said, I have never had a problem with moles so can not tell you for sure. Thanks Alice, no I did not find the first msg. from you…..but thanks for trying…..I will let my sister know…..maybe last yr. just wasn’t a good time for potatoes….they are going to try another area in the garden this year…. I’d like to know that what I buy from the TRUE Amish (not just folks in Amish country) is helping them benefit. That doesn’t mean I wouldn’t buy anything made by Englishers who live in Amish country—not at all. I just wish there could be a “True Amish” designation (products made by the real, current Amish population (there’d have to be a geographical designation of some kind, I guess) and an “Made in Amish Country” designation for items made by the non-Amish who live in “Amish Country.” A disclaimer (“this item not necessarily “sanctioned”by any Amish district”—or some such thing) would be needed, too. I mean, other groups (I’m thinking of “free trade” coffee) use a designation—you know that if you buy the product, some of the proceeds go to people who actually produce it. I wish I could look at this blog more often! But besides working full time at my library, I’m also taking an online library course, one class at a time. I just started “Medical Reference and Research”. While I’m on the subject, can anyone enlighten me as to who (what group or university, etc.) studies Amish health, and compiles statistics about predispositions to certain genetic conditions among the Amish—or any other “facts” revolving around Amish health? I’d be very interested in learning more. I don’t know if it would be useful for this class or not, but I’d love to learn more. Right now, however, I must get ready for work (yes, on Sunday, yes on the day the Bears play the Packers)! I wonder if anyone will be at the library today? Mona, I will try to find it today. It had a lot of good info for you in there. If I find it I will copy and paste it to a more recent topic for you. Tell them NOT to put potatoes where tomatoes were grown the year before. Am confused – what does Alice Aber’s comments about “another post…moles…her neighbors potatoes” have to do with “Amish Country on the label: deception or fair game?” Would like to read comments from Amish or about the Amish instead please. I am terribly sorry Mary S. I was trying to help Mona find some information that was posted on another topic. Unfortunately, neither of us can remember exactly which topic it was. That is why I told her to just email me and we would start over. I do think it is very seldom you will find posts on here from actual Amish people. The original topic did have something to do with Amish gardening and Mona had specific questions about the gardening here in Illinois. We have a tendency to be very friendly on here and sometimes do get off topic. My sincerest apologies. Sorry Alice..didn’t mean to upset the apple cart !!! !Some people can become so testy….thank you, I will email you….again my apologies…..
Mona, do not worry about it. It is fine. I’ll await your email. Hope you are well tonight! On page 2, Lucy talked about Magda worrying about being accused of lying, I’m a bit confused, is Magda someone Lucy knows who inadvertently did what the topic of discussion is about? Secondly, I wanted to let Lucy know I like her photo she used, I wonder, is that Lucy herself. Whoever it is, it’s pretty. Very good point Alice. Businesses using the Amish name (when the product is not Amish) probably realize that the Amish will not do or say anything about it and certainly not bring about a law suit. And as you pointed out, if a non-amish product gets a bad reputation, the Amish could be the ones to loose some business. Yes, I know Magda.Magda was discussing on her blog the possibilty of making some money by selling homegrown vegetables.I left a comment on her blog saying that because of her plain attire, Magda might be mistaken for an Anabaptist and that while it may help sales, it may not be right.Magda assured me that she is known in her area someone who is Plain but not Anabaptist so it should not happen.That’s all, hope I have not confused you! No, the photo is not of me.I don’t use personal images online because we never know who might be online. I am pleased to report that the 8 month old baby boy injured in the buggy accident in Paoli, Ind is now recovering at home. The original news article did not state this, but the father was uninjured in the accident. The buggy has been repaired and is back in service. The county sheriff is now getting bent out of shape over this one accident. He wants to enforce the SMV orange triangle law now. He apparently does not know of the county’s court settlement in the 1970’s with these Amish whereby they put 72 sq in of gray reflective material on all equipment and buggies in lieu of SMV triangles. He considers them violators of the law, and does not like it. He does, however, consider enforcement futile, as the Amish will just go sit in jail, instead of violating their faith. Strangely, this sheriff will not disclose to the public as to whether the car driver had been drinking alcohol before the accident. I wonder what he has to hide? Hi Lucy; it makes sense to me now, the whole Magda story. It makes sense to me and my likely flu riddled brain, I’m getting better… Tuesday and part of Wednesday I couldn’t get out of bed. I was a zombie today, but I got by. I completely understand the photo concern. It still is a nice portrait, though. Lance glad to hear that about the baby. Sounds like another SMV clash might be brewing in that neck of the woods. I saw an ad on TV for those heater devices that are supposedly made by the Amish. I wasn’t impressed by the look of the ad, it seemed campy and cheap, but I did see it around 2 AM, so that may enter into it. The people they interviewed seemed out of their element and the workers, well, they seemed very odd. Before this I’ve only seen the print ad campaign. Any thoughts? Regarding “Amish Country on the Label”, there seems to be a chain of stores called ‘Amish Goods’ or some such thing, and the goods that they sell from Amish are labelled as such (quilts, wooden objects, baskets). However, I’ve read that some Amish pay Vietnamese immigrants to make quilts and sell them as Amish made. Any truth to this? Also, these stores sell very un-wholesome products: mostly candies that contain partially hydrogenated oils. Laura, a few years ago there was a series of stories on the participation of Hmong (a people from Laos, China and other parts of SE Asia) in the Lancaster quilt business (Google for more). While not making the quilts in their entirety some of the work (mainly applique, the technique of sewing decorative pieces of fabric onto the surface) was being outsourced to them. It got quite a reaction as of course with this information the authenticity of what they were doing came into question. An “Amish-made-and-Hmong-appliqued” quilt just doesn’t have the same ring to it (even though the Hmong are apparently highly skilled appliquers). I’ll actually have more on this–some interesting lesser-known background on Amish quilts–as part of an upcoming book. Also, on the stores I am not immediately sure which ones you are referring to (is this in Lancaster, or elsewhere? ), but the ones labeled ‘Amish Goods’ are probably not Amish-owned. I get so discouraged when I am looking for items made by Amish and come up with things that are not. I grew up in an area in Virginia that had several Amish and Mennonite families,and actually started my life as Mennonite. It was nothing to go out on saturday morning to one of their local farms to buy some baked goods or whatever they may have been selling that we needed. Since that childhood some have opened up buisness’s that sell the things that I often search for.I love the simplicity of the items no matter what they are, yet they are high quality, if it be their crafts or their food. I moved to New Jersey almost 9 years ago and whenever I go “home” to visit I tend to hit those shops for their goods and talk to friends that I have known since I was a child.You may leave the community but it never really leaves you. I guess by buying their products it is my way of staying in touch with who I am. I go to Scottsville, KY every weekend and buy most of my fresh food/bulk food directly from the Mennonite farms. I even have a great farmer who sells organic grass-fed beef (by the cow) for less than I could buy cheap hamburger at Wal-Mart! I want to buy land and live there. I’m getting to know the farmers and love the community. My next goal is to attend church services. They haven’t been corrupted like our churches have been by politics. Where do you go to get the beef? Also do you know anyone know where to go for chairs to be cained? There are pot scrubbers that are made to scrub Teflon pots. The round ones that are a made of curly plastic? You can push the soap slivers into the middle of one of thoese and then whisk it through the water and it will make the suds. Then it will drain as soon as you put it down. Labels; Deception or fair game? As Bob pointed out the Quaker name probably became aligned with honesty & integrity so the oats and gas companies wanted to capitalize on those qualities; “Amish Country” or anything labeled Amish today might suggest honesty & integrity. Now, not to upset the apple card but, to share my POV. I personally do not purchase Amish homemade foods because (1) they aren’t required to have state food handling permits so one doesn’t know how or how clean the food prep is and (2) I’ve seen too many of ’em buying bulk quantities of cheap oil & white flour at Aldi and I prefer sunflower or EVOO and whole wheat products. Oh, one other point I wanted to make. For the most part, Amish are creative & inventive. They look at Englishers as people to sell to. My SIL (who is a former-Swartzentruber Amish) told me that he & his sister would travel in their buggy every Saturday to the local gas station to sit & sell handmade baskets. He said they’d sometimes pull in $800 (tax-free) on one Saturday! But, getting back to the title of this thread, Amish know that Englishers like to buy their products so they make everything they can imagine for the eager English. I live near Holmes Co. Ohio and often see “Amish Furniture” advertised. I have been so tempted to go in to one of those stores and ask to see the “Catholic” furniture or the “Presbyterian” furniture. The same goes for a local company that produces “Amish eggs”. Do the hens wear prayer caps??? I taxi for Amish in a small community near me and have discussed this use of the word with some of my customers and they te me that most Amish business owners will not use the word Amish in their business name or advertising, athough I do know of one bakery in Geauga Co. that does. Ann, it’s funny, isn’t it? Not too many examples of other religious groups with the same “marketing power”, so to speak. I am a Christian Englisher and live near Bay City, MI and like Nancy indicated in her July 28th posting I too would like to buy land and live near an Amish Community for a whole lot of reasons, one being the availability of more wholesome and more natural food products. Locally I am able to buy Sauder’s Eggs in a carton marked Amish Country Holmes County. Their web site does not indicate that they are Amish, but if they were I suppose that they would not have the technology to market and distribute their eggs so far and wide. I do not mean that disrespectfully, just pragmatically. So although I would like to eventually live near the Amish and buy Amish products directly as Nancy does in KY, still I do respect the use of ‘Amish Country’ on the egg carton because it gives me hope that this may be a more nutritious product. I am replying to all of the above comments about the non Amish labeling products or businesses as Amish or Amish Country. I own a small business in southwestern Wisconsin ” Down A Country Road Amish Gifts and Tours” and although I am not Amish, yes, I do use the name Amish. I grew up having Amish neighbors, became friends with many Amish families and in 1994 with their encouragement I began a small business to sell their hand crafted products. It was at a time when many Amish families in our community needed to sell their products but did not want to have everyday contact with the English tourists. 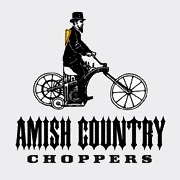 So after having the Amish build the first of our now 6 gift shops I began the business with the above name. It has become successful over the past 18 years and we have been able to sell thousands and thousands of dollars worth of products for our local Amish families. While I have certainly not gotten rich, I have enjoyed working with them and having a business right here at home. Now….if I had not used the name Amish in my business title I can all put promise you that I would have failed in the first year. You might say “too bad…you should because you are exploiting the Amish” but that is certainly not the case. The ones who would have lost out the most are the 45 Amish families who had high hopes of selling their products and having a bit of extra income. I can absolutely promise you without a doubt that they have made a far greater income than I have. If they were feeling exploited I don’t really think that the families would have continued to sell their products here for the past 18 years, nor condone the simple one on one car tours I do to their farms. I know I am VERY late to this thread, but since you asked . . . The oddest example I’ve come across of use of the “Amish” name is “Amish Coconut Oil” (sold to make popcorn). I’m sure it’s from the Amish love of popcorn as a snack (and coconut oil sure does make GOOD popcorn, like the traditional movie theater stuff), but somehow, I could never shake the image of some Amishman out plowing between his coconut trees. By the way, do the Amish actually use coconut oil when making popcorn? Since no one has answered this…..I would say the Amish buy the coconut oil at walmart for their popcorn…. Erik, when are you going to start some new questions on here ? Leave a reply to “Amish Country” on the label: Deception or fair game?